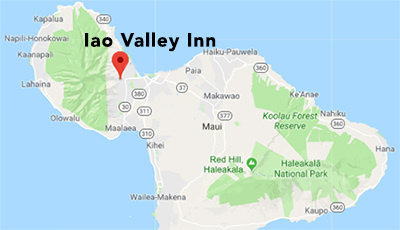 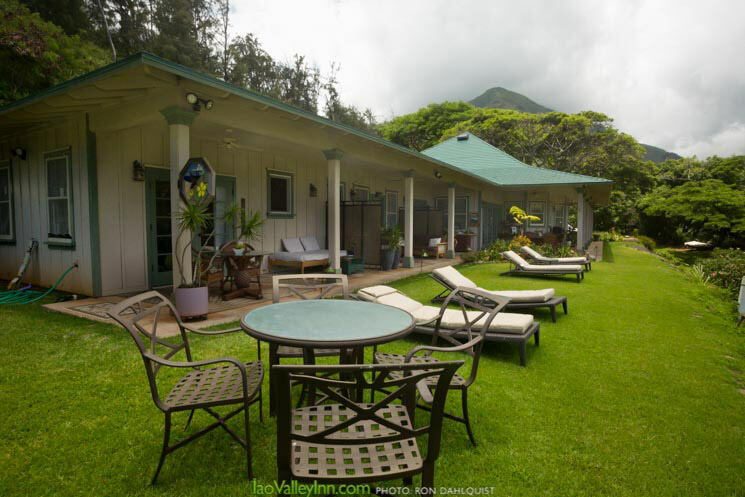 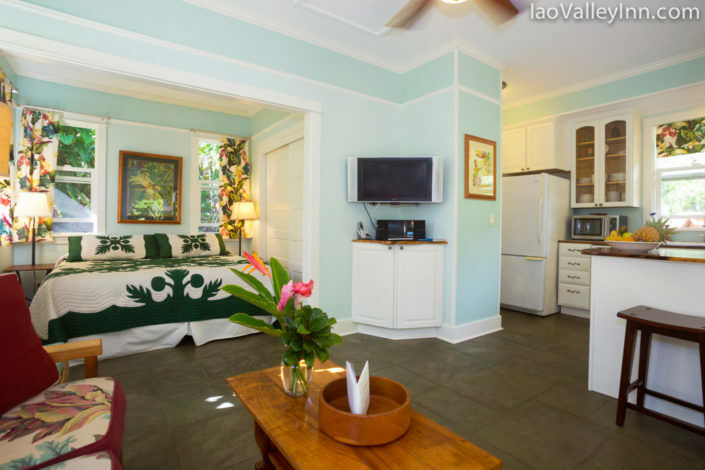 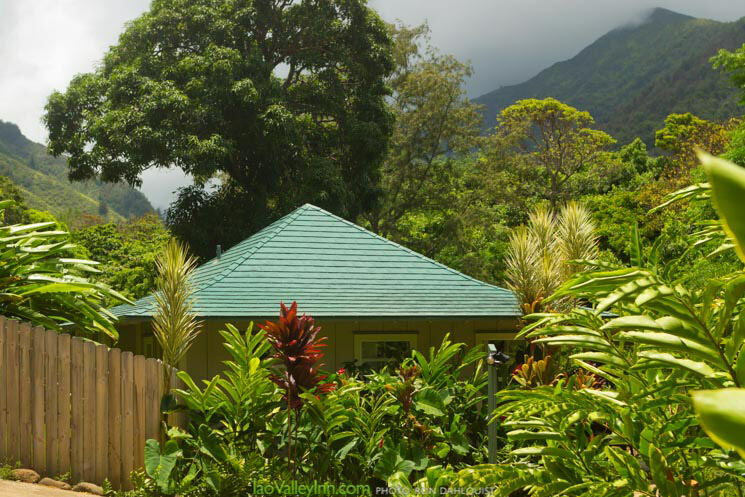 Conveniently located in Central Maui, Iao Valley Inn is just a two minute drive from the beautiful and historic ʻIao Valley State Park. 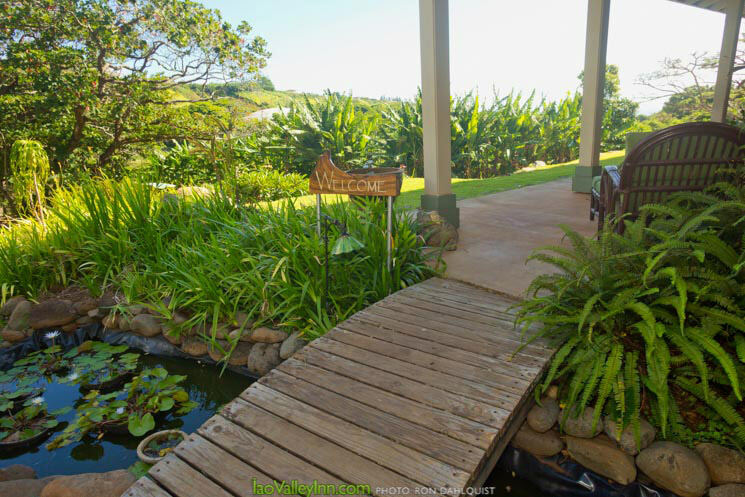 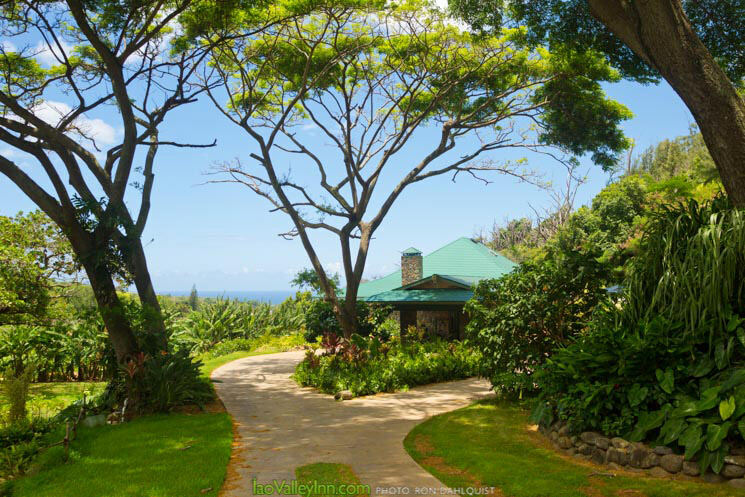 Perched on 37 scenic acres, our Maui Bed & Breakfast offers guests the natural beauty of Hāna without the winding drive. 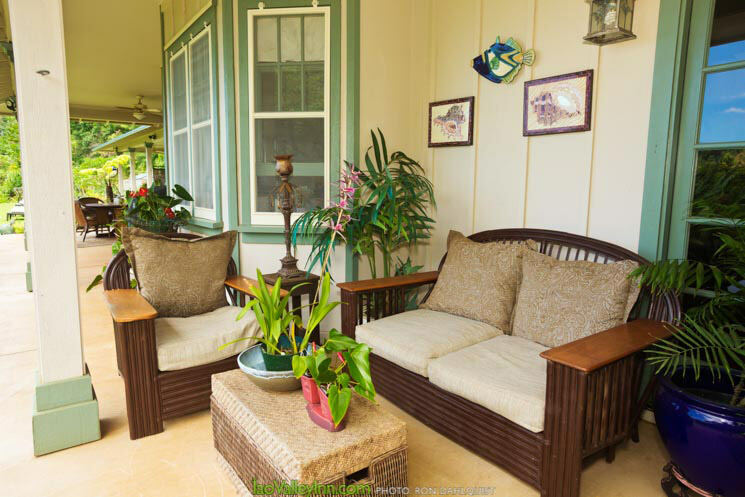 Sit back, relax and soak in the lush greenery and rolling clouds of the West Maui Mountains and Pacific Ocean views. 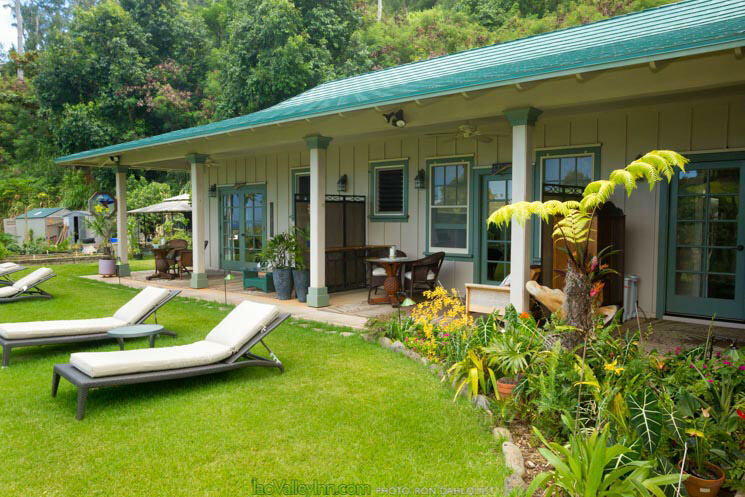 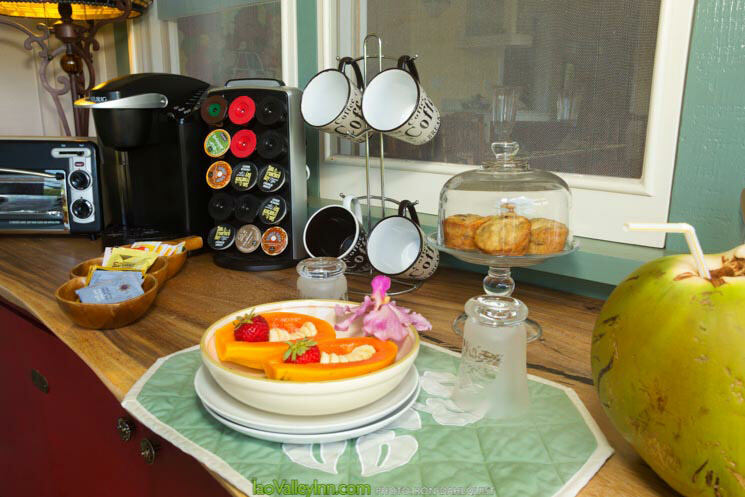 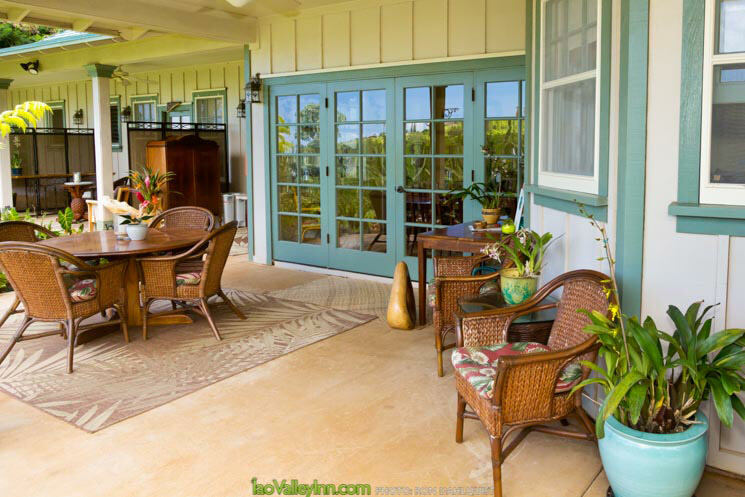 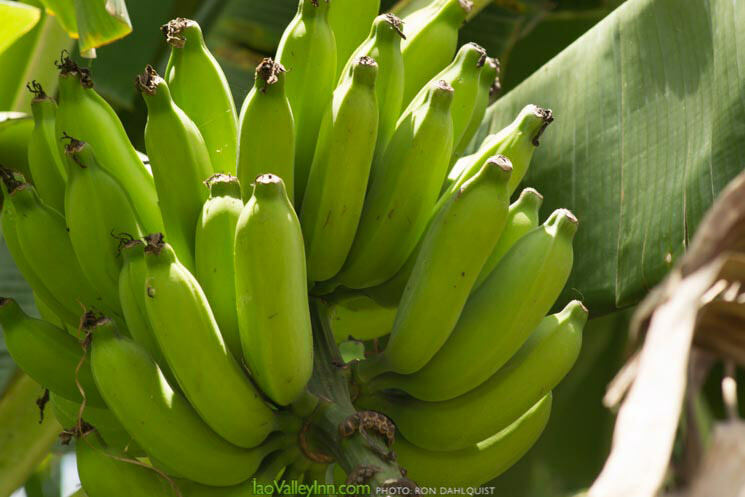 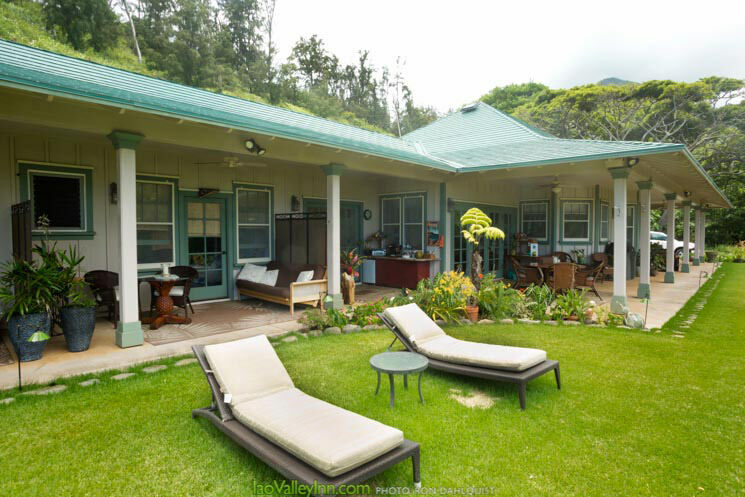 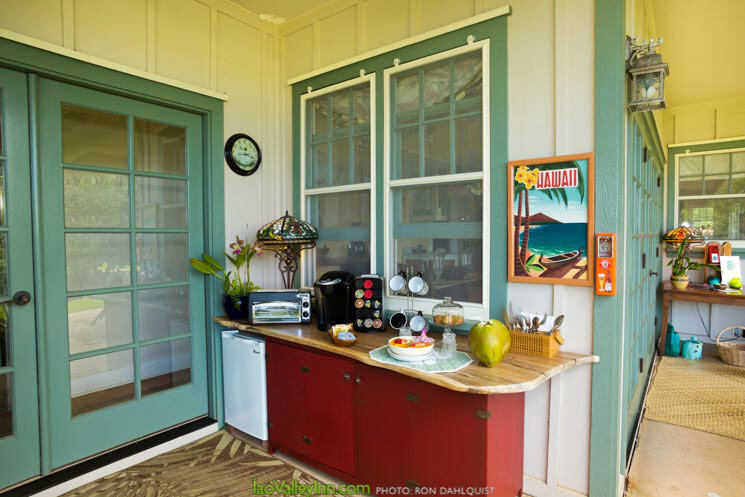 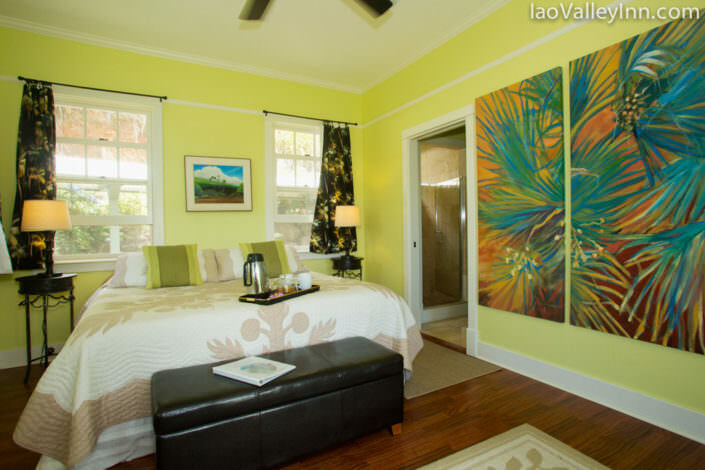 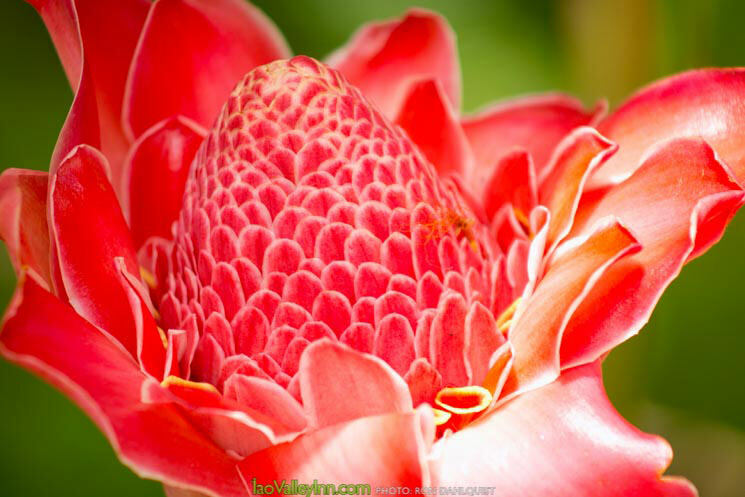 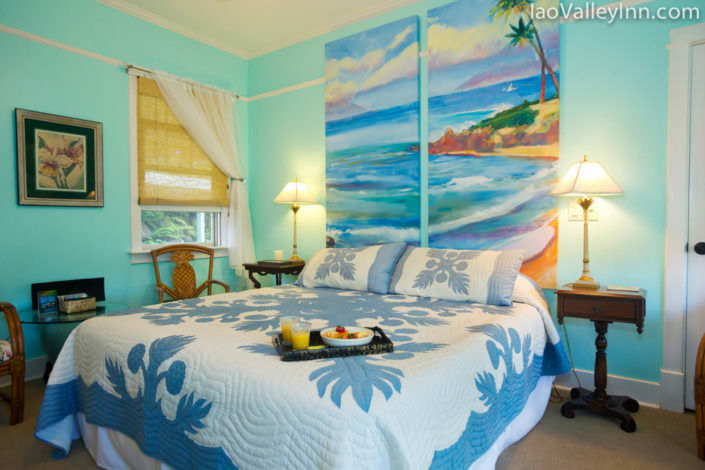 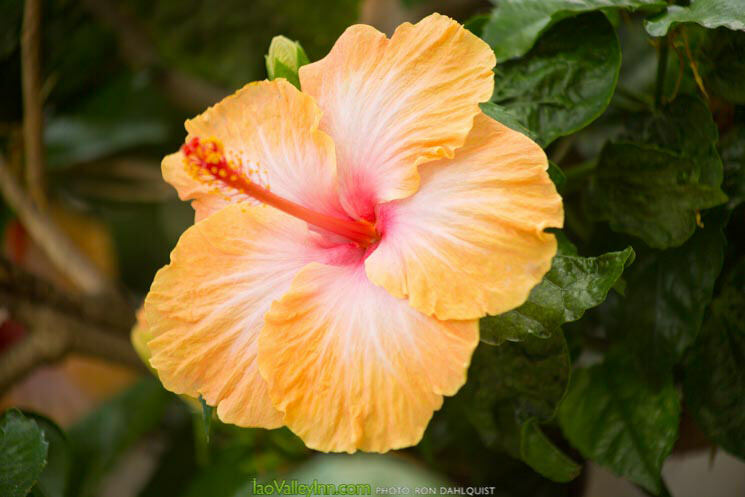 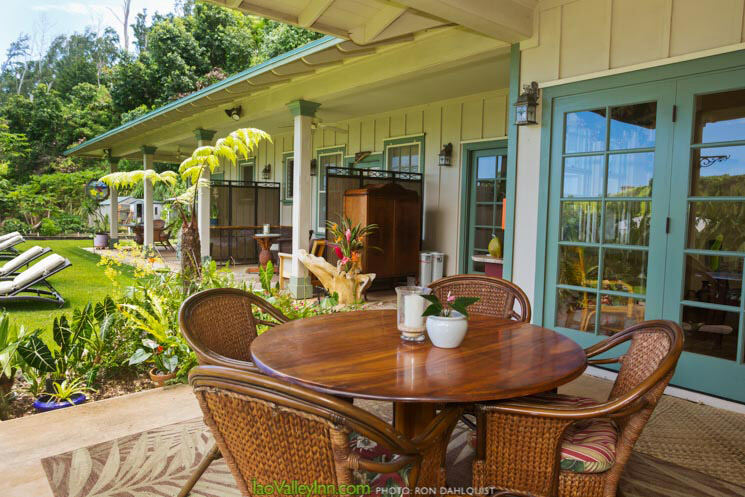 Our locally owned Maui B&B is ideal for visitors who value privacy, peace and quiet, and convenience to other attractions and activities on Maui. 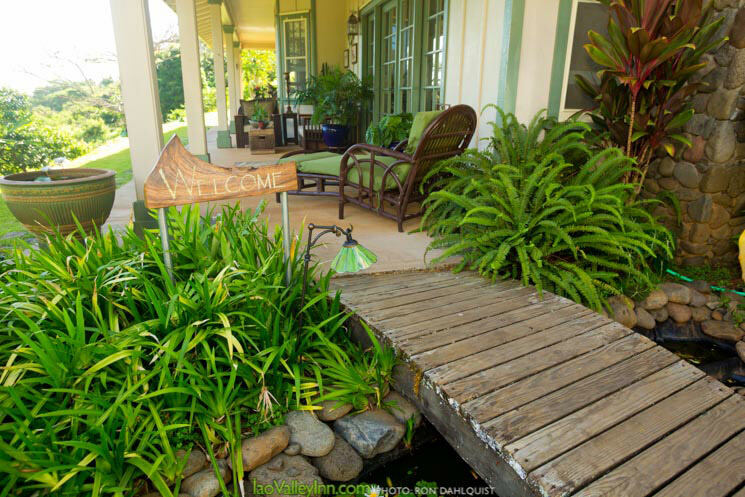 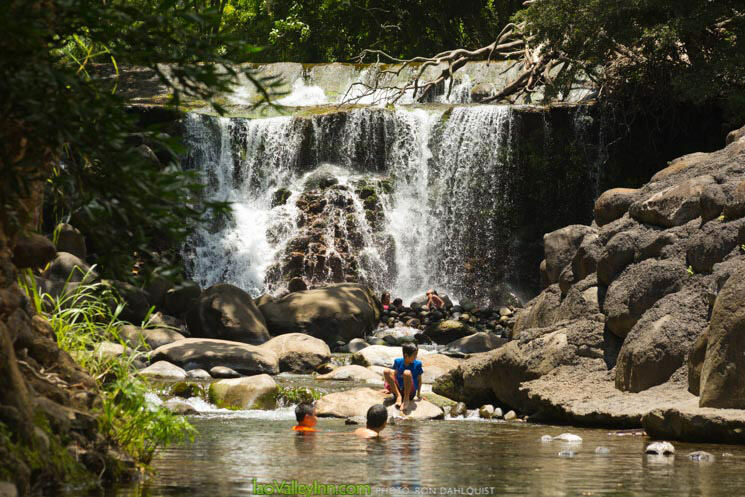 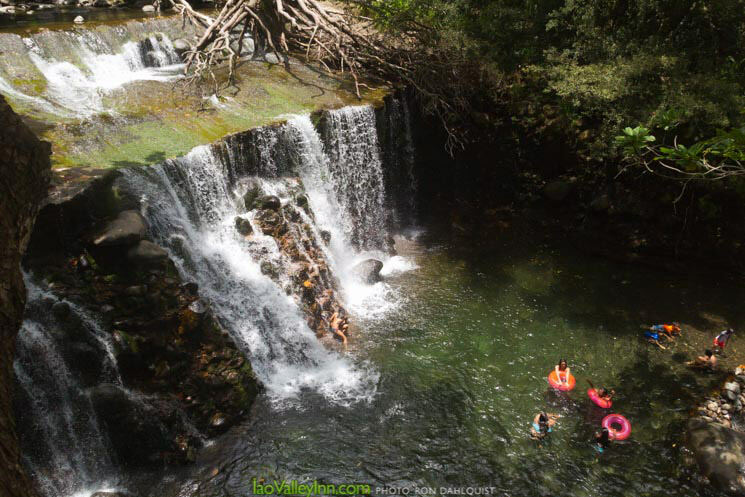 Escape with romantic strolls through our gardens and waterfall, relax with stunning nighttime stargazing and rejuvenate with sounds of nearby Wailuku River, which can be a quiet, babbling brook or raging current depending on conditions. 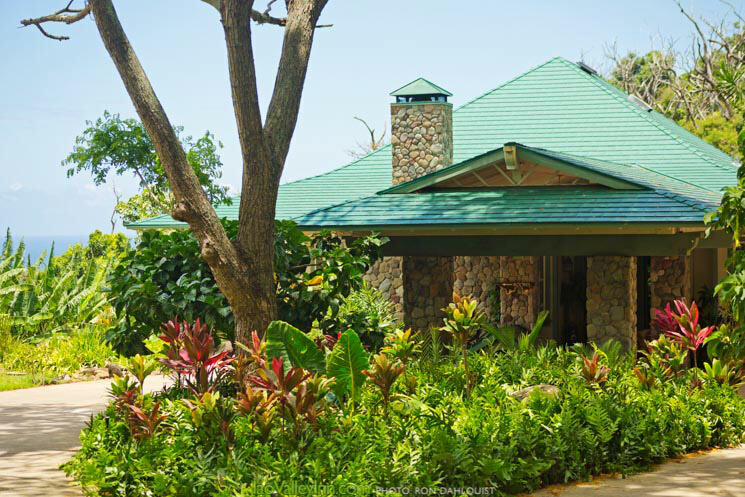 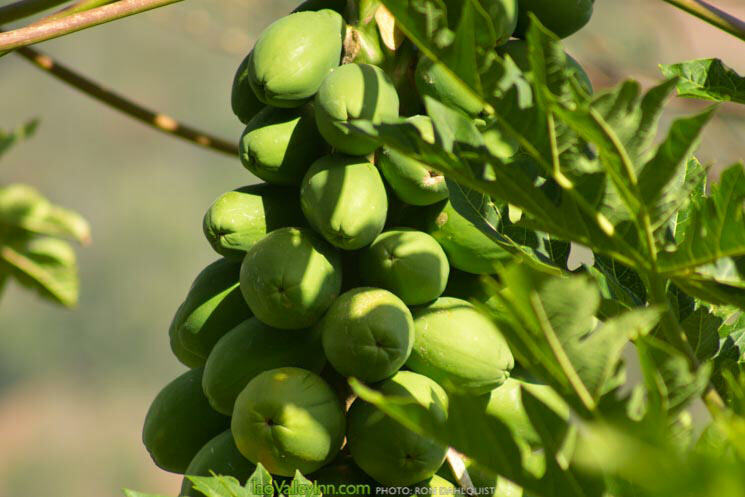 Savor the sights, sounds and flavors of Maui and discover why guests return to this secluded gem. 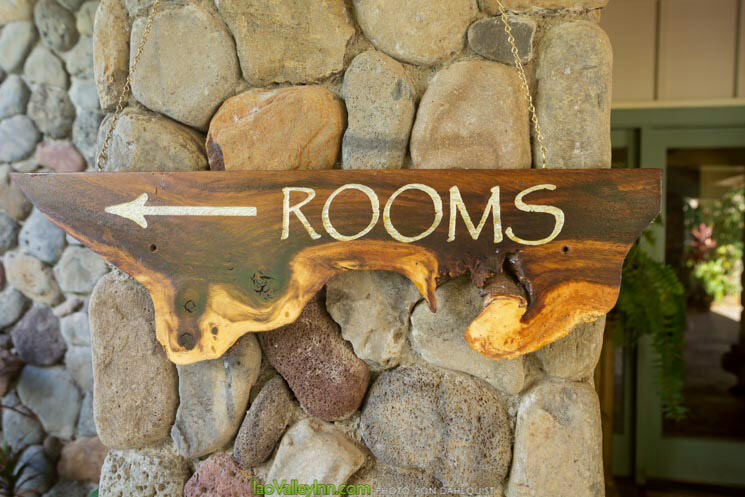 WE ENCOURAGE FEEDBACK FROM OUR GUESTS!